The Alice 6-seater dining kit is one of the best choices for your dining area. The table top is done with MDF+ Veneer and the frame is made up of rubber wood with Melamine finish. The upholstery is done with polyester. This beautiful dining table provides best dining experience and goes with both contemporary and modern style décor. It is also light weight and thus, can be moved whenever required. The Antique cherry color is elegant and provides an appeal to your home. This dining kit consists of 1 table and 6 chairs. Having dinner together as a family is one of the important things in creating strong bonds among family members and this dining kit provides the right comfort and mood to achieve this purpose. 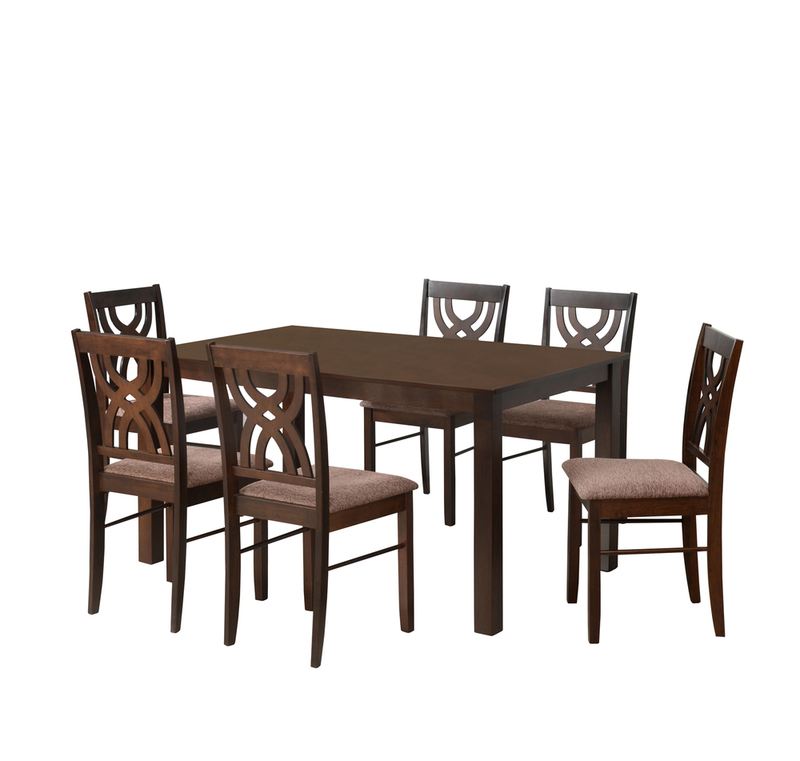 Buy Alice 6-seater dining kit from @home at affordable prices. @home is an online portal for best quality furniture with timely delivery and installation services. There is also a customer support staff available that helps you by answering all your queries and guiding you through the purchase. You also don’t need to worry about the quality of the products as they are verified. Book this dining kit now and bring home comfort, happiness and some extra time of togetherness.